The big chains need to move over. 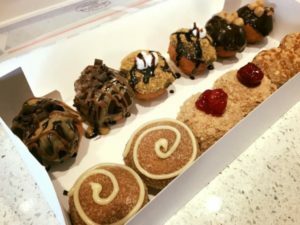 Make room for Crave Grounds, a new locally-owned coffee shop with a whole new concept in donuts. The donuts here are made fresh, and made-to-order, with any toppings of your choice. Much like a yogurt bar, your choices will range from cookie dough, snickers to sprinkles, and more. 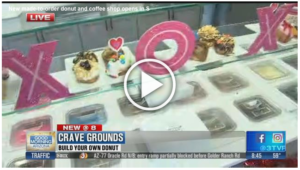 Scottsdale Ranch Welcomes Crave Grounds!